"A River's Glimpse in Naples, FL"
This Naples living room was a feast for the eyes. Sophisticated and filled with treasures from Barbara & Bruce's travels around the world there was a single space, yearning to be filled. The couple saw 'A River's Glimpse' at the Fort Myers Art Fest and knew it was perfect for them. I drove it down and hung it on the wall. 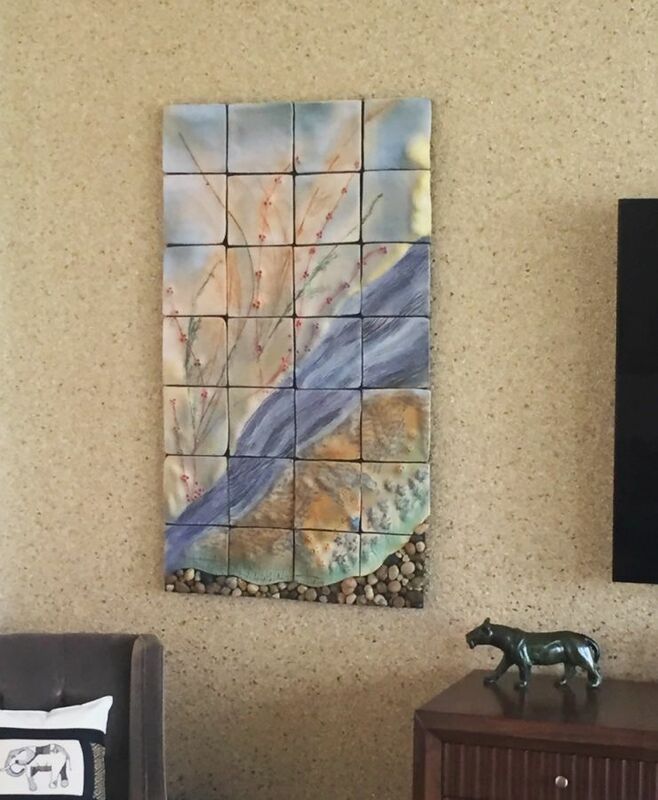 The combination of this mica-surfaced wallpaper with the textured earth palette made it a complete picture. Thank you both for your vision and appreciation!